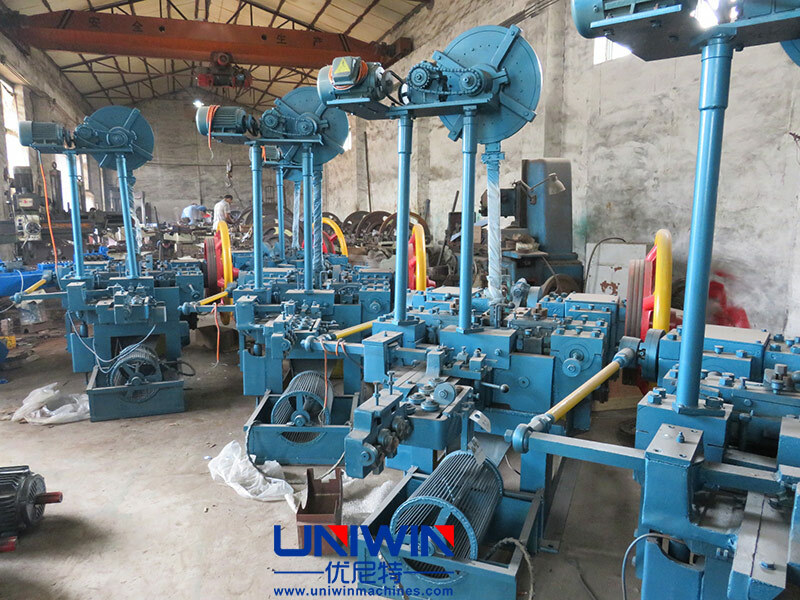 The roofing nail making machine is used to make umbrella head roofing nails, it punchs the cap to the nail body to form the roofing nail. 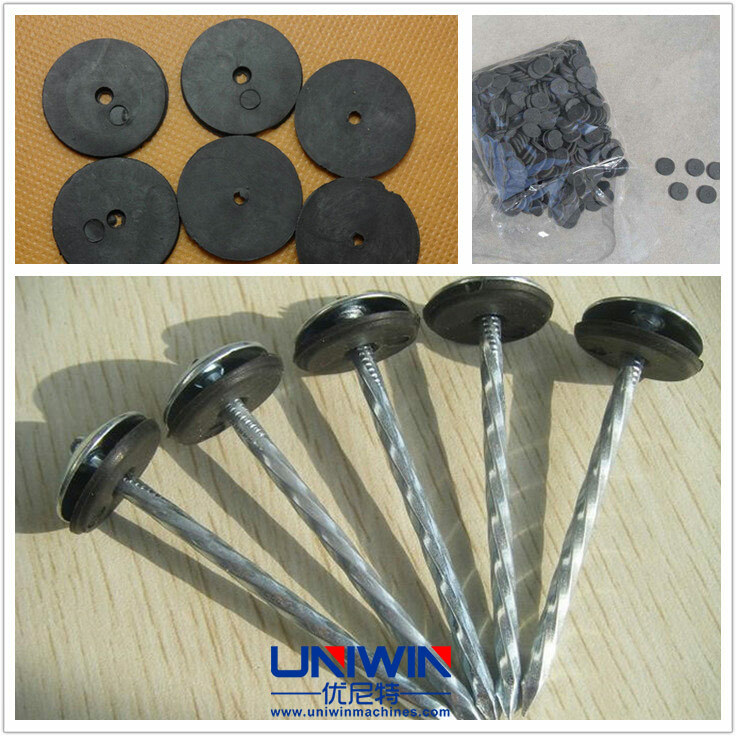 Roofing nails are usually used outdoors roof, it can be used for connecting wooden parts, as well as for fixing asbestos tiles and plastic tiles. 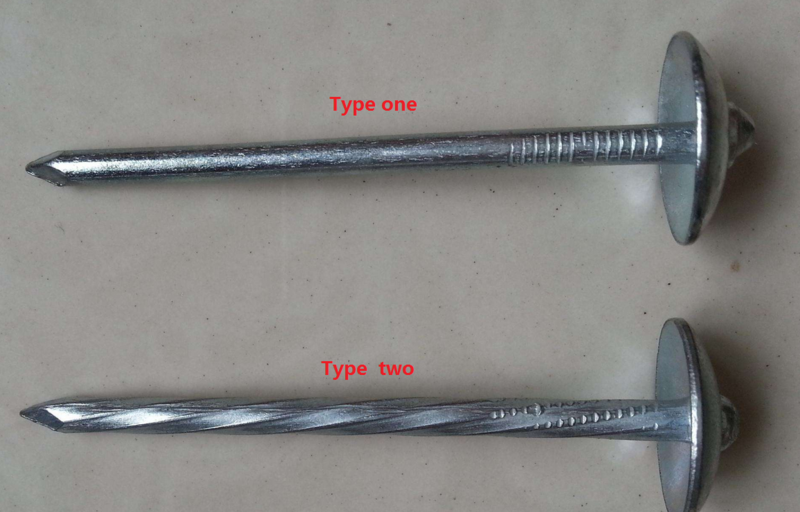 There are also smooth shank roofing nail, Twisted shank roofing nails. 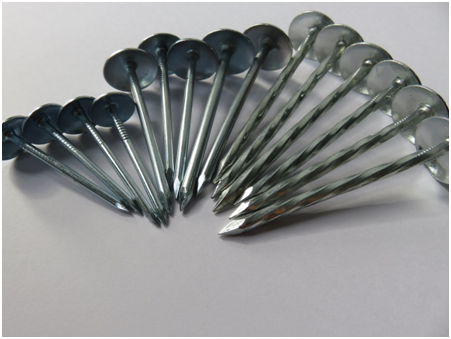 The commonly used size of roofing nails includes: 1.5inch, 2inch, 2.5inch, 3inch, 4inch. 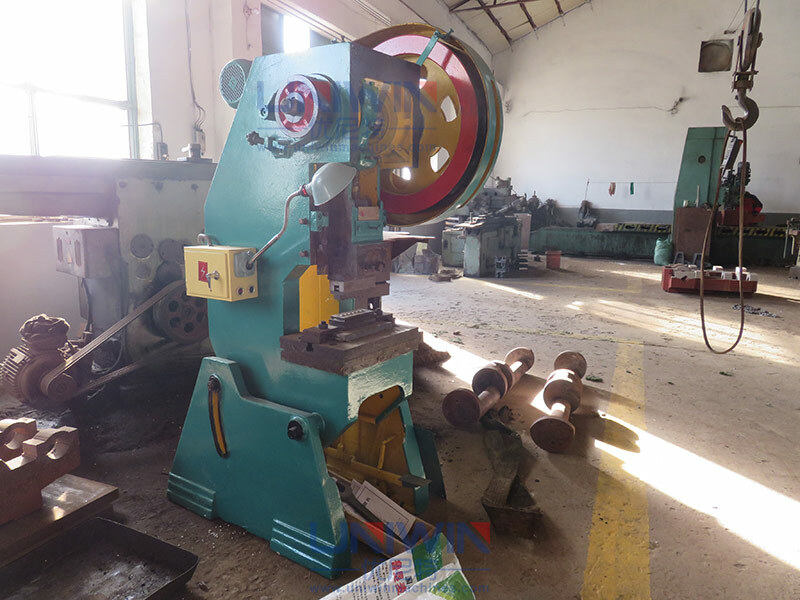 To make big cap roofing nail, ceiling nail, wire nails, it is the common type z94-c series nail making machines. 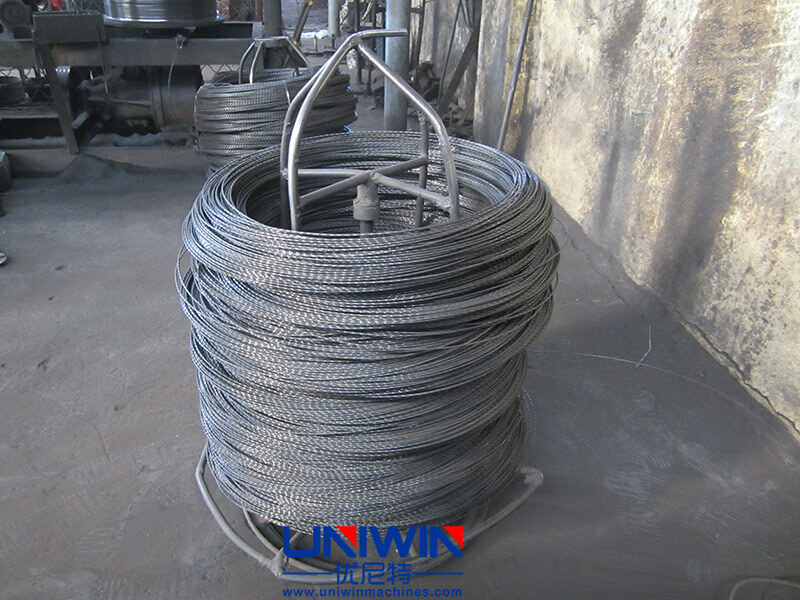 To make roofing nails, the steel wire Q195/SAE1008 is the raw material and same material with common wire nails. the basic equipments are cap nail making machine and roofing nail making machine, and the galvanizing equipments. Make the roofing caps by caps making machine. Put the caps in the storage box of the roofing nail machine and make the roofing nails. 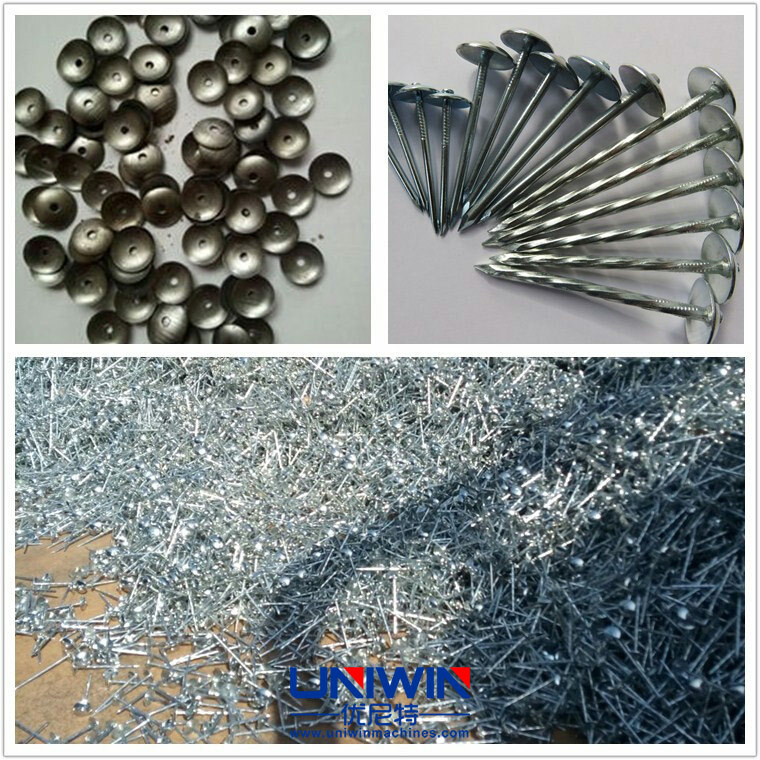 Galvanize the roofing nails to ensure the roofing nails resistant to corrosion. 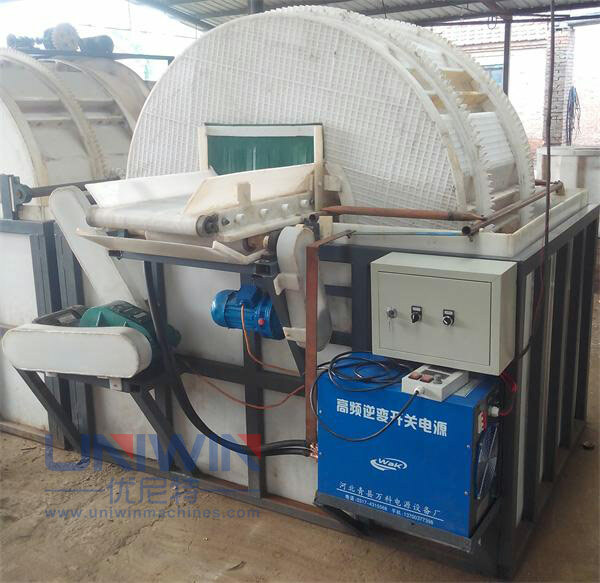 according to customer requirement, you also can add the rubber washer. 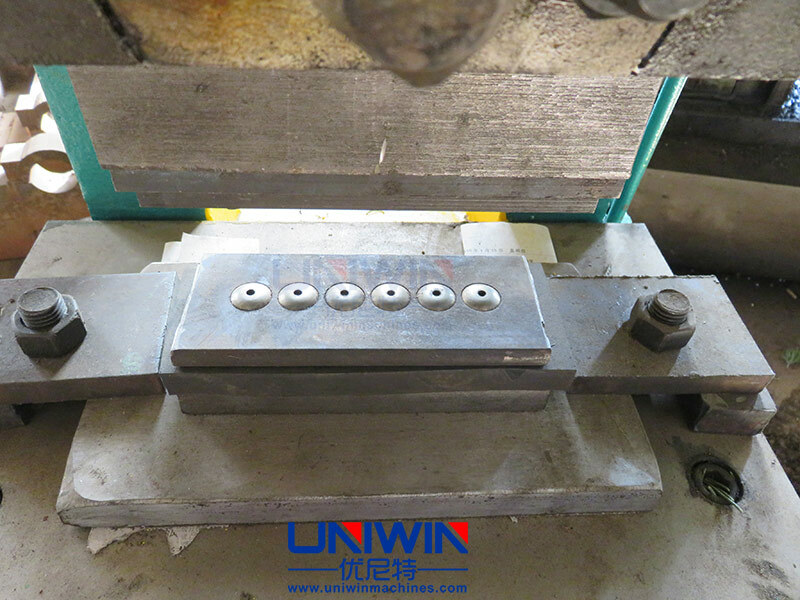 It has the function of sealing and waterproof.